Adorable little miniature cupcakes. These are the "Baby" of our cupcake family. These are perfectly portioned for a single bite. Baby cakes are wonderful for baby showers and cocktail parties. Each order consists of 16 baby cakes. When delivered, these are beautifully packaged and are ready to eat. If you choose shipping option, they will be shipped "naked" with icing on the side. Please see FAQ for more details. 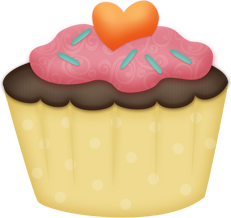 Mommy cakes are standard size cupcakes. 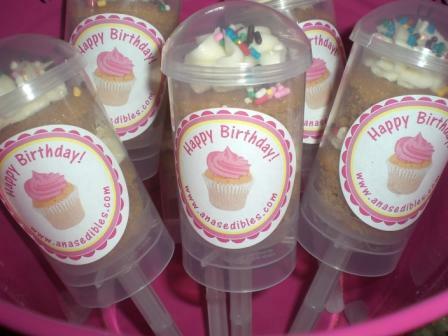 These are wonderful for birthday parties or showers where a slice of cake is traditionallly served. 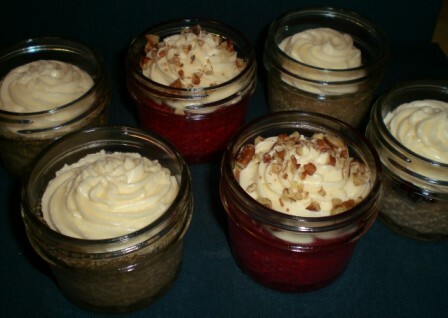 Mommy cakes are convenient and easy to transport and will be a hit at your next gathering! They can be customized for showers and parties. 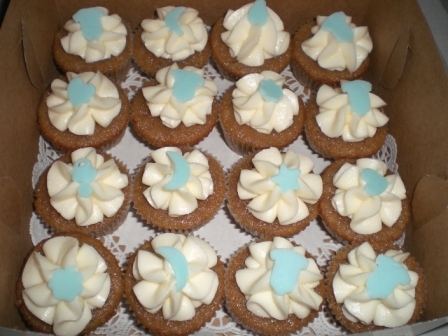 Each order consists of 1 dozen Mommy cakes, single flavor. When delivered, these are beautifully packaged and are ready to eat! If these are shipped, they will be shipped "naked." Please see FAQ for more details. Discount is available when ordering multiple orders of the same flavor and size. 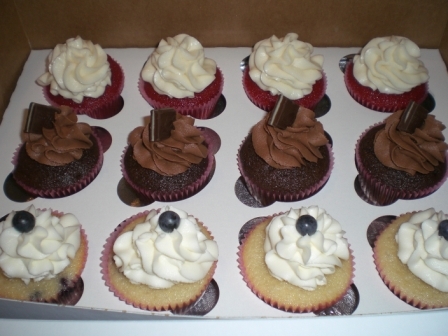 Each order consists of 6 Mommy cakes, single flavor. When delivered, these are beautifully packaged and are ready to eat! If these are shipped, they will be shipped "naked." Please see FAQ for more details. Get your spoon and hearts ready! You will fall in love with this adorable jar filled to the brim with a decadent Mommy Cake that is topped with rich, creamy cream cheese icing. 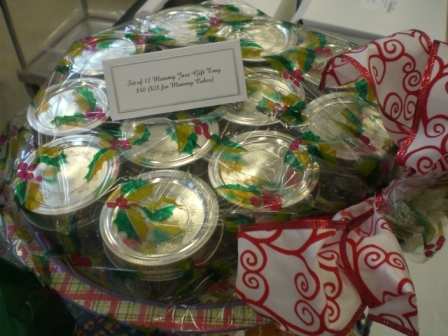 These are a definite crowd pleaser, whether it's for a party of 100 or 1 to share with that special person. Be prepared to indulge yourself in this rich jar of one of a kind flavor. These are wonderful guest favors and take-aways for your next event. Sales Representatives also love to give these to their special accounts. This is for an order of 6 Mommy Jars of the same flavor. This is a set of 12 cupcake wrappers, 3 each of 4 patterns. These are a unique touch for your next winter get together. These wrappers have easy to assemble tabs, just insert into the slot and you're ready to go! No tape or glue mess. These are for decoration purposes after baking. 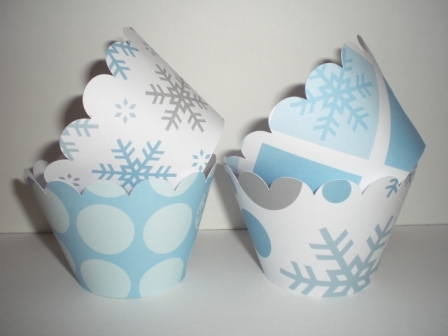 Will fit standard 2 inch cupcake baking cups.